Bangkok, Thailand is city with glorious retailer shops and of course with the joyful street food. But this time i am trying a smart casual dining in Thai classic restaurant owned by one of Thai royal family member. It is called Thanying restaurant, it is around Silom area. Well, it is easy to found it though. Thanying is not so far from Surasak BTS station, its about 10 mins walk to there. Front side we should see a quite huge signage which is clear. Place looks like an old house with quite space of parking lot at front. When come in, the waiter welcomed us friendly and nice. This restaurant sure has beautiful classic style with Thailand theme, wooden, mirror, sculptures and paintings. actually it is one of favorite cuisine that Royal family used to have. It is unique dish with various of side dish e.g. 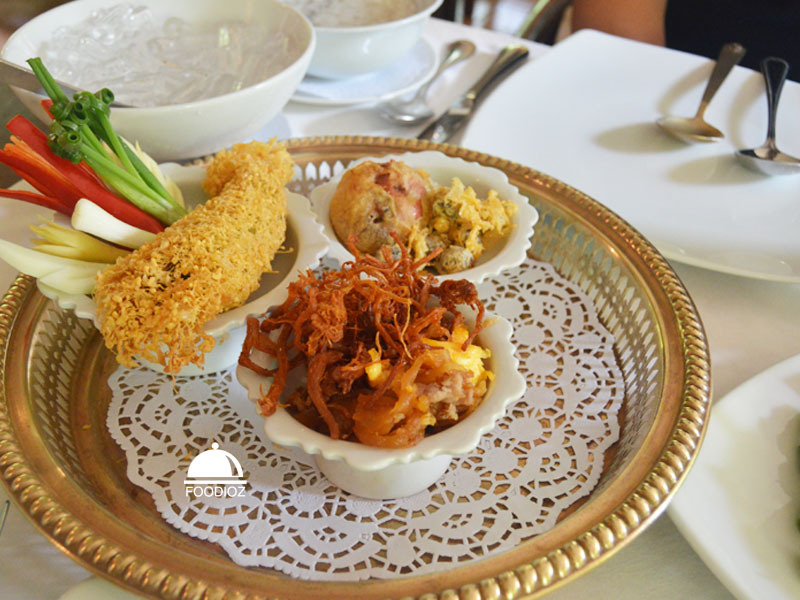 dried shredded meat, sweet pumpkin, fried shallot, shrimp cake, pork wrapped in fried vegetable skin and white rice in cold fragrance water. Sounds complicated to eat this at first, but actually it just common way to enjoy this. I just have to eat the dish together with the rice, but it wont mixed together on a plate. Take the dish first and the rice then. The rice has authentic fragrance give a different taste than normally rice. 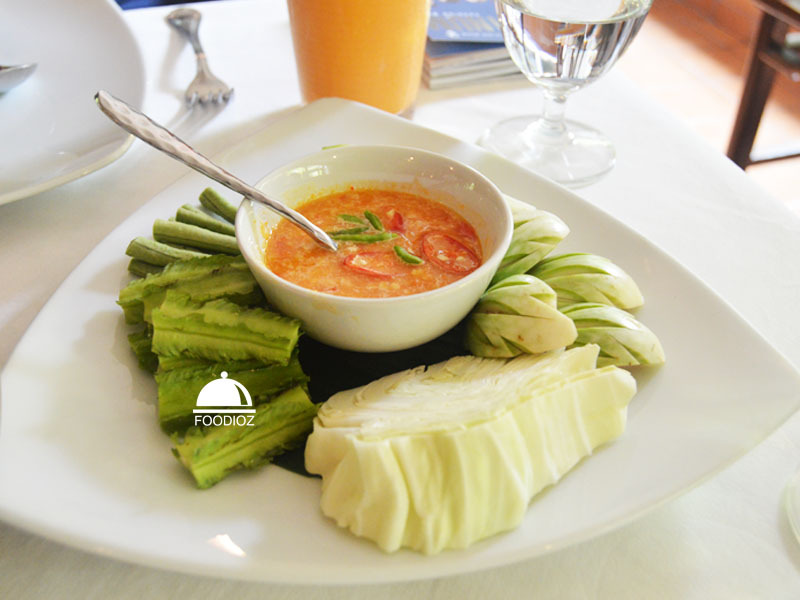 Another cuisine i have is Nam Prik Mun Poo Kai Khem, various raw vegetables with sour spicy sauce. As typical of Thailand, sweet and sour is common taste we could find in this country. It is good taste to give more sense for having foods. Last dish i have is lovely dessert, Thai Vanilla Coconut Ice Cream. 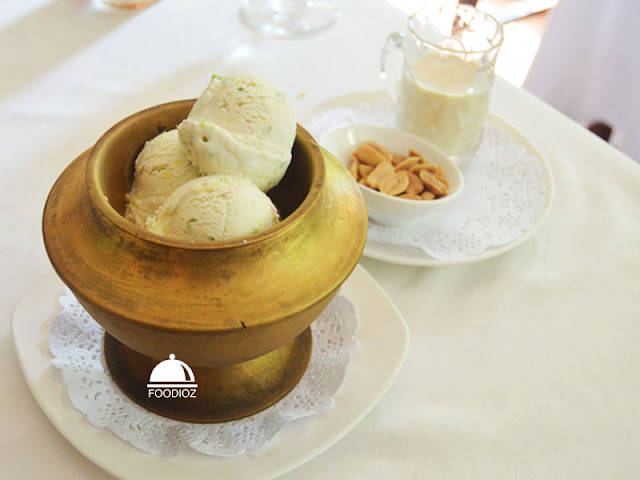 Beautiful white vanilla ice cream in golden pitcher completed with peanut and coconut cream aside. It has sweet flavor, cold and delightful when mixed together. 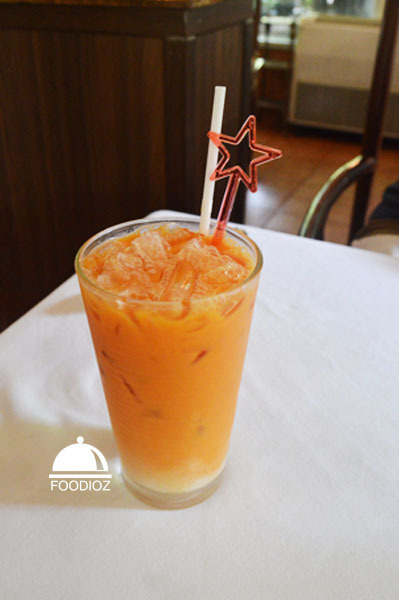 Don't forget for the drink, of course choose Thailand hits is Thai Ice Tea. Well, i did not have many cuisines here since i had a lot at my breakfast in the hotel. But with these two cuisines, i do satisfied enough with it. Great foods with warmly service and quick also beautiful classic restaurant was such a wonderful lunch i had.